Indeed. 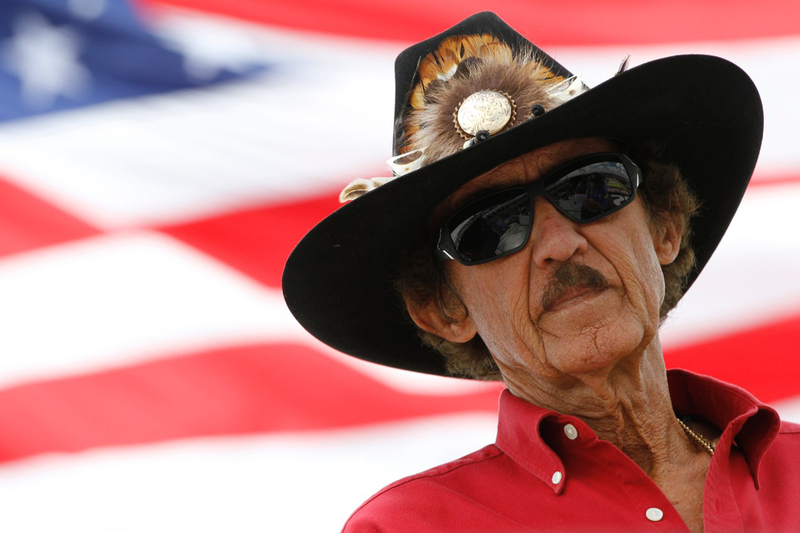 Petty has represented Smithfield superbly as he has all of his sponsors over the decades. His team may not have had the success of Stewart-Haas but it also has shown there's real talent there. My understanding before this was the plan was to team up Almirola and Darrell Wallace in a two-car outfit under the RCR aegis - obviously plans can and do blow up. Riding into the sunset, with your head held high is an acceptable ending too. Who said anything about "Riding into the sunset"?. RPM will be back in 18 with at least the #43 and hopefully with Bubba Wallace in it and who knows, they might be back with even a 2nd car also! Sponsorship is a business decision, plain and simple. How many wins does RPM have since Smithfield has been on board? One, and it was because of a rain shortened strategy move. Compare that to SHR which has 2 championships and multiple wins. It's a no brainer. I think it's wrong to dump on Smithfield. Money is green and TV costs money. You'll see the 10 car on TV more, next season than you would have seen the 43. Aric is a top 12, in the 10 car. Smithfield made a business decision, and is staying in NASCAR. They have my support, and I will continue to buy their delicious meats! Smithfield sponsored Aric not Petty. Aric brought them and they stayed with him. He comes from a time when sponsorships like STP were done on a handshake. He also comes from a time when Richard Petty Motorsports wasn't simply an also-ran back-of-the-pack team. I hate it for RPM, but blasting a former, loyal sponsorship partner isn't a very good way to start a search for a new one, either. Problem is, you are not competitive. In fact given how many cars the #43 passes most races, they are competitive. Smithfield is also going to a team - the 10 - with fewer top-tens (and far fewer cars it passes) than the 43 this season. Everyones time comes. Its now yours. Smithfield made the right choice. Why continue to be part of a mid level team that doesn't win? Two other mid level teams are pretty hot right now so it can be done. Sounds like Petty was pushing to have Darrel Wallace Jr. in the 43 next year. Looks like Smithfield didn't want a Black guy as their front man. That is the reason I will not buy Smithfield products any longer. Who you say? When Alan Kulwicki was killed, Hooters wanted Loy Allen Jr., in the car. Paul Andrews and Felix wanted Jimmy Hensley. Hooters pulled out and the #7 team was sold. The sponsor money is what greases the wheels.